This belt looks great with jeans. It's made from harness leather with over 500 tacks. 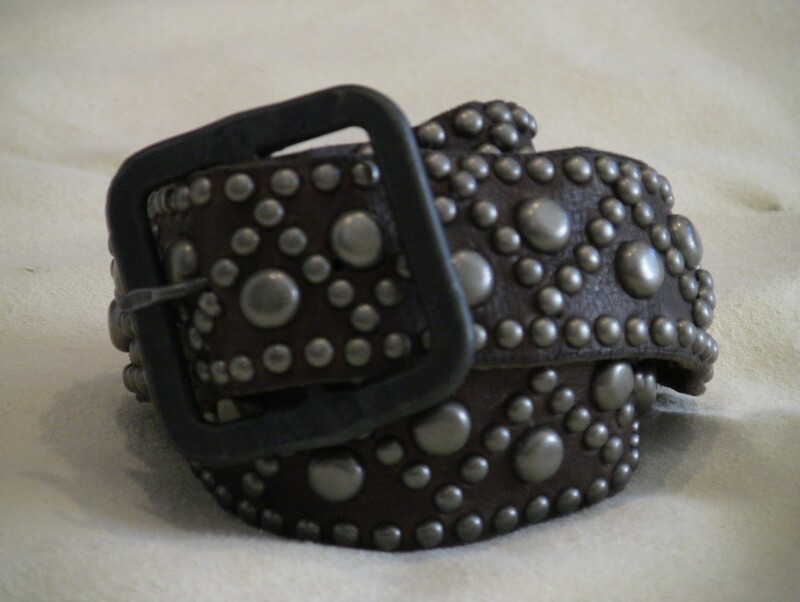 The pattern is based on an old Blackfoot belt. The buckle is hand forged. Size S-M-L. Please specify your waist measurement when you place your order. 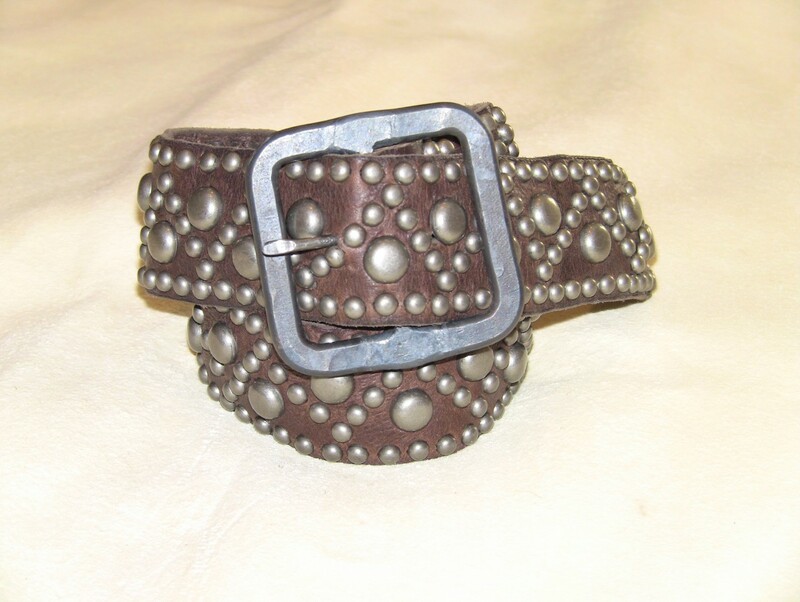 Belts may very slightly from what is pictured based on the leather, size, and tacks. Please allow 4-6 weeks delivery.